Is Your Landscape Playing Well With Others? As I am walking my dog through my neighborhood each day it becomes more and more evident that some people’s landscapes just do not play well with others. 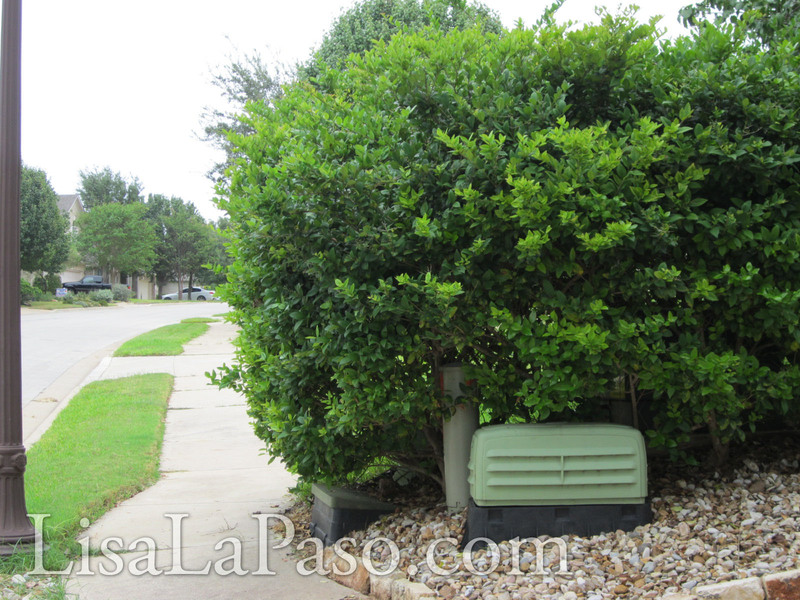 When you plant your huge shrubs or spikey, stabby plants 6″ from the sidewalk or around your utility boxes only to later take up most of the sidewalk, you are making a gauntlet of misfortune for passers-by. Your prized Yucca might be special to you, but it looks a lot like a weapon to me! 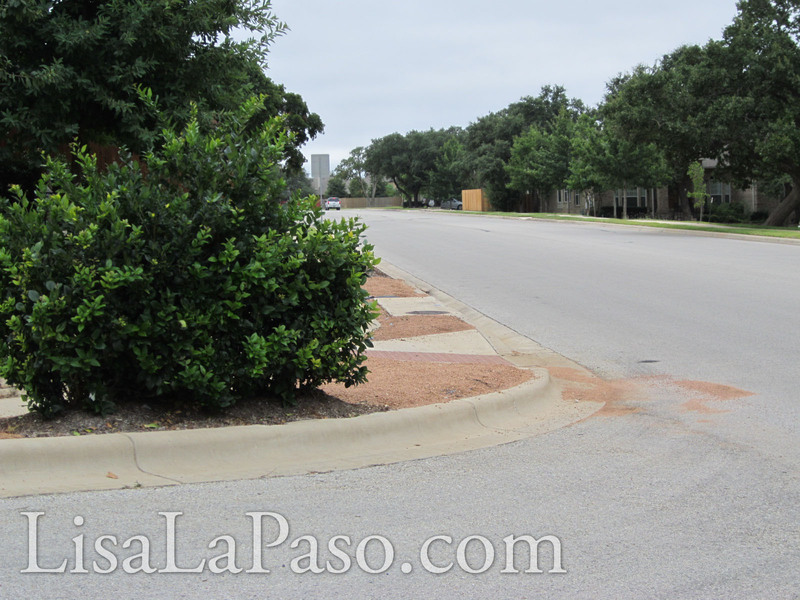 This shrub is way to large to be at the corner where a vehicle needs to see the oncoming traffic. There is also a rule that plants in the nuisance strip can only be 18″ high for this reason. One of the most common problems I see people creating for themselves is using inappropriate sized plants for the space. 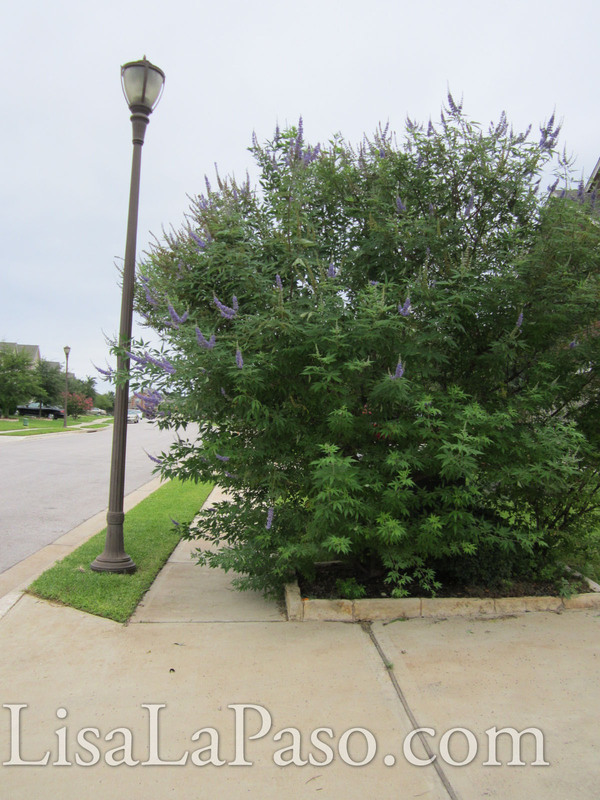 For example, our HOA here in Avery Ranch requires that plants placed in your nuisance strip (that goofy little strip between the side-walk and the street) be only 18″ high. Why? Because when you pull your vehicle up to the stop sign and look to the left or right for passing traffic, that your view is not blocked by shrubbery. (love that word, reminds me of Monty Python) Placing over sized shrubs too close to your stop sign, in the nuisance strip, or too close to your sidewalk is a huge problem for your neighbors who would like to have open access to that space. Using stabby plants in these areas can also be an enormous problem which can lead to a lawsuit if a neighbor is injured on the plant. Think about what might happen if your outstretched shrub or branch grabs a kiddo on their bicycle and knocks them to the ground…It is also dangerous for our pets whose eyes are dangerously close to the ground! Every plant you will ever buy comes in a size. Not in the size you buy it in, but the size it will be at maturity. Just like a shoe or pair of jeans, plants are not one size fits all. When you are looking for a plant for a tight spot, educate yourself on the space it is going in to avoid having these issues. If you inherit a problem plant in a home you have purchased or rented and removing the plant is not an option, you need to keep up with the maintenance. A plant that is allowed to overgrow not only becomes a problem for walkers and bikers, it is also a problem for the plant. Shrubs have a specific growth pattern. They will have leaves on the outside and woody limbs on the inside where the sunlight does not reach, attempting to remove large areas of neglected growth will leave you with woody, dead looking shrubs that can take months to recover if at all. Over grown bushes/trees too close to the sidewalk need constant care. As lovely as this plant is, it is a problem for the walkers and the people trying to leave the driveway, as limited visibility becomes a pedestrian and vehicle safety hazard. Vines are another part of your landscape that can be very problematic for your neighbors. While we are all desirous of covering our not so attractive wooden fences, your love of Orange flowers may not be your neighbors first choice. In my design experience, some colored flowers seem to make people down right irritated. So before you plants that enormous ,Trumpet Vine Blue Sky Vine or Confederate Jasmine, ask your adjacent neighbor if they are going to mind it in their space. If they prefer it not be there, keep it trimmed at the top, hang horizontal wire trellising from 4×4 to 4×4 or whatever you need to do to be considerate of one another. Also, if you EVER plant Asian Jasmine, THINK about where you are planting it! 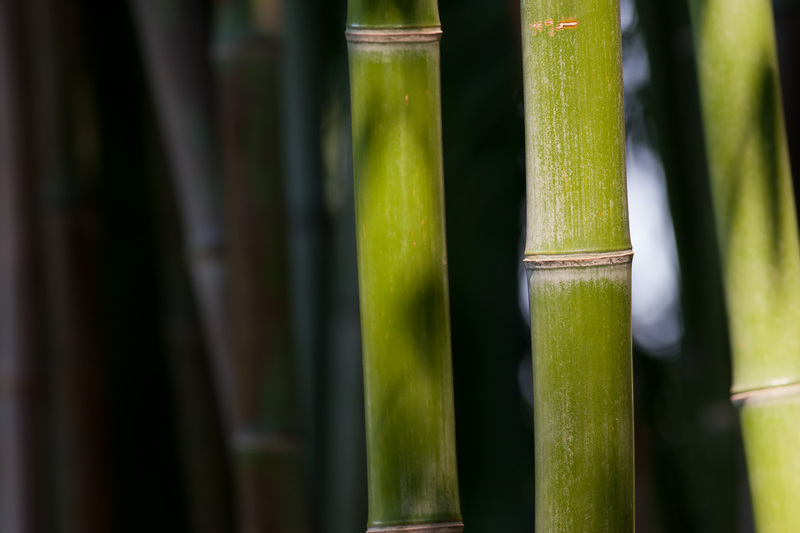 Asian Jasmine and Bamboo are pretty much in the same category to me. Rarely ever justified, incredibly invasive and need to be maintained more than they are usually worth. If you plant Asian Jasmine as a ground cover in your yard, Do Not plant it along your neighbors fence, because now they have it! It will grow under ground, spreads from runners, escapes most barriers unless they are dug 4″ or more into the ground and are impossible to get rid of once they have taken over. If you have an enormous plant so close to the sidewalk to hide your utility boxes, be prepared for a life of maintenance. This is barely enough room for one person, not to mention the limited visibility when leaving your driveway! Another issue is overgrown low hanging tree limbs. Some saplings and Oak trees have a tenancy to grow downward. These trees can be real eye pokers and not only are they a nuisance, but that low hanging branch is also a danger to the tree. Broken limbs can lead to disease issues and with Oaks, injury can lead to Oak Wilt. https://lisalapaso.com/2010/02/04/oak-wilt/ Maintaining your lower limbs at a height of at least 6′ from the ground allows the tree to use its energy where it needs it most, at the canopy. This tree has low hanging branches that make this sidewalk impassable. Limbs need to be several feet away from the sidewalk and several feet above (7′ at least) to avoid injury to the eyes or face of a passer-by. You are setting yourself up for a lawsuit otherwise. So do a walk through on your property and look at it through your neighbors eyes. Before you plant anything, look at it from all perspectives and at its mature height to think about the finished product. 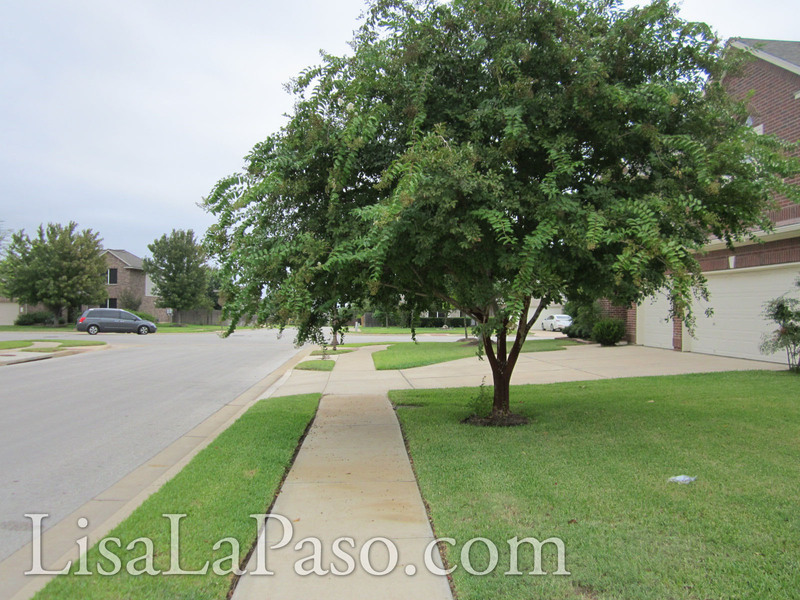 Are your sidewalks free of branches from overgrown shrubs? Are your vines taking over your neighbors side of the fence? Have your trees grown into the side-walk or common areas where their low hanging branches might cause injury? If so, you have some work to do. The good news is that maintenance will make your plants happy, you will be a thoughtful and considerate neighbor and consistent maintenance makes short work for you. Now go get your trim on! Check out my videos on my YouTube channel! Some of those seem so simple to solve without removal, since they revolve more about some basic maintenance that is lacking (the vitex tree, the crepe myrtle). But the large ligustrums or photinias that I often see in those visibility triangles, or your HOA’s strip, totally need removal. Never heard it called a nuisance strip before; sounds better than the usual “hell strip” and more realistic than a “parkway”.